What are the type of products Dihuni can help me with? I searched Dihuni.com and cannot find the product I need. Can Dihuni help with ordering products not listed on the website? Yes, our vendor partners carry thousands of products and we don’t have all of them listed here. We will be happy to help fulfill such products for you. For example, if you buy a server or embedded IoT product but don’t see compatible memory or solid state disk or IO module listed on Dihuni.com, please contact us and we will send pricing info and help you process the order manually. Will Dihuni fulfill all orders automatically when placed online? I had an order refunded without any reason. Is that normal? When you place an order with Dihuni, it does not constitute an automatic commitment or confirmation of our offer to sell. Dihuni reserves the right at any time after receipt of your order to accept or decline your order for any reason. All orders will be fulfilled only after confirmation and agreement on acceptable method of payment by our credit and finance department. Dihuni can cancel any order at any time due to product short supply, recognition of fraudulent transactions or for other reasons deemed suitable by the company. In situations where Dihuni cancels the order prior to fulfillment, Dihuni will promptly refund the order amount through the payment method that was used during ordering. This is not a common scenario but you will agree it is important for us to protect from fraud which is very common specially with computer hardware. Dihuni is a Virginia, USA company and we ship throughout USA. We offer flexible payment options. 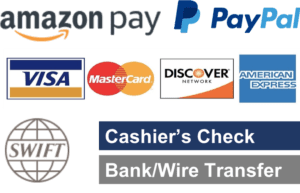 Besides using Credit Card, PayPal, PayPal Credit or Amazon Pay, you have the option to place an order online without instant payment using Bank/Wire Transfer method at checkout and then transfer funds after receiving order confirmation. This is only for corporate, educational and overseas customers. Note – order will only ship after receipt of payment, except for approved Net Terms orders. You can attach your Purchase Order and Net Terms documents at checkout. Credit Card – You can use valid USA bank issued credit card. The billing address and shipping address must match. If you are a corporate customer with separate billing and shipping addresses we must get a Purchase Order for such transactions or proof of address, employee information at each location etc. Note – we will cancel any orders where we suspect fraudulent transactions. Also unless authorized by Dihuni and for corporate customers with validated addresses, if the billing and shipping addresses do not match, we will decline the order. Net Terms – in most cases, the first order is pre-paid except for Fortune 500 companies and select Universities. In general, to be approved for Net Terms, you must establish recurring pre-payment order history before submitting credit application. Please contact us for more information. All orders must be prepaid by wire transfer; We do NOT accept overseas credit cards. We will verify your address and credentials before shipping any product. We ship globally using international carriers, primarily FEDEX International. It is recommended that you contact us to get accurate international shipping charges as sometimes web rates are not updated. We will try to negotiate and get you the best possible rates. Dihuni will not ship to any country on the USA embargo list. I want to order a high-end product that is listed for more than $50,000 on your website. How do I order such products? 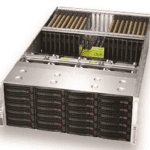 We understand very high-end systems such as Deep Learning servers can range in price up to $200,000 or more and are not suitable for payment by credit card. However, you can order the product through our online system using bank transfer as payment method. There will be no actual financial transaction in such scenario. Once we receive the order notification, we will contact you about your payment method i.e. provide you with our bank/wire information after verifying your company and billing/shipping address. If you would like to set up Net Terms, you can attach and send your Purchase Order along with your credit application to digital@dihuni.com before or after online ordering. If online ordering for such systems is not suitable, please contact us by email or phone and we will process your order manually. Does Dihuni accept phone orders? Yes, for customers who prefer ordering by phone, our sales team will help process your order manually. I need a formal quote for my company or university’s Purchasing department. Can Dihuni provide that? Yes, please select the ‘Request Quote’ button and send us your product and quoting requirements and we will send you a formal quote. Please provide your billing and shipping address and contact information so we can prepare a formal quote which is usually sent as a PDF document. What are ‘Dihuni OptiReady’ products? ‘Dihuni OptiReady’ products are ‘optimized and ready’ for applications. 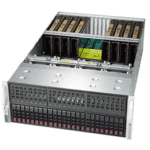 These are server, storage and embedded systems that are fully built and tested with components such as CPU, memory, hard disk, GPU, software etc that can be purchased as a fully functional system instead of a barebones system. 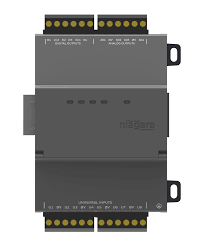 In some cases, OptiReady may also imply a custom board + enclosure combination that are not standard manufactured by the customer; the product description will refer to such systems as barebones. I like the barebones products on your website but need them to be built out to my specific requirements. The Dihuni OptiReady products are close but don’t meet my exact requirements. How can I request customization? A significant portion of our business is in customized and complete systems vs barebones. Dihuni OptiReady systems were designed to meet most common system requirements however we understand your requirements can be unique. To get a quote on a completely customized system, please use the ‘Request Quote’ button and send us your desired specifications. We will get back to you with a custom system quote. This process usually takes about 2-3 days as all our customized quotes come directly from the manufacturer and is subject to their processing time. Does Dihuni build all servers and IoT products in-house? If not, why? No, unless a product has been designed from scratch by Dihuni, we don’t build servers/systems at our facilities. We specifically adopted a business model to work directly with manufacturers (OEMs) directly and have them build our systems – both standard and customized – to ensure highest quality. Our manufacturer’s only build systems with components that are tested and qualified by their engineering team and provide direct warranty on such systems. For systems deployed in data centers or used for Deep Learning, IoT etc, we believe that the products must be hugely reliable and there is nobody better positioned to build such products than the manufacturers. Additionally to keep our costs down and pass those savings to you, we mostly drop ship hardware products from the manufacturer directly to your shipping address. Does Dihuni offer warranty and technical support? All hardware products come with manufacturer’s standard warranty. Depending on the product/manufacturer, you can also purchase extended support options such as 5 year warranty, Next Business Day Onsite support etc. Licensed software products usually come with some basic support with options to select extended support. Software as a Service (SaaS) or other subscription based offerings also usually come with support bundled for the duration of the subscription. What is your order processing and shipping lead times? We usually process orders within 2 hours of receipt and send them to the specific manufacturer or software vendor for fulfillment. Orders received during weekends are processed on Mondays (except for holidays). Hardware inventory levels change every day so we check with our suppliers every time we receive an online order. Our sales teams will inform you of expected shipping time-frame after an order is received. As a general guideline, for hardware components and barebones systems that are in stock, the products are usually shipped within 3-5 days from order. Some components/barebones systems may ship same day depending on the item and vendor and if an order is placed before noon eastern US time. You can also request an order to be rushed; we don’t charge any rush fee and route all rush requests to our partners but we cannot guarantee that orders will be expedited. Custom built systems typically take about 2-3 weeks from assembly to test. And after release from production, delivery time depends on the shipping method you have selected. After I place my order, how will I be notified of the progress of my order? Dihuni sales team will keep you informed of your order by e-mail or through your account page on the website. Once an item is shipped, we will email you the tracking number of your shipment. Does Dihuni sell any refurbished or used products? No, we only sell and ship 100% new, factory packaged products. How can I cancel my order? Can I get refund? All product sales are non-cancellable, final and non-refundable after they have been processed unless otherwise stated on product description pages. Only Dead on Arrival (DOA) Products may be returned for exchange or credit within 15 days from Dihuni’s invoice date. Credit will only be issued if returned products are in brand new condition and if manufacturer approves such return for credit and/or is unable to exchange with a comparable product. Dihuni will charge a restocking fee of an amount no less than 25% of the original purchase price for any returned product that is non-defective or arrives with an incomplete package. Customer must obtain a Return Merchandise Authorization (RMA) number from Dihuni. Please see our Returns, Repair and Refund policy for more details. A credit card could be declined for various reasons including but not limited to: invalid credit card number, wrong billing address, expired card, in excess of daily limit, or insufficient credit. It is also possible that the card number (or expiration date) was entered incorrectly. Sometimes credit card companies will soft decline a transaction and will require you to call them to pre-approve a charge after which you can re-enter the information. Can Dihuni advise me on compatibility for the items that I wish to purchase? For all Do it Yourself/barebones/component products, we can help answer your compatibility questions only in accordance with manufacturer’s supplied information but cannot guarantee product compatibility. We suggest that you check with the manufacturer to resolve any compatibility issues before making your purchase. The manufacturer should be able to accurately answer your technical questions. For all customized complete systems and Dihuni OptiReady pre-configured systems, Dihuni will ensure all selected components are fully compatible. Where is Dihuni based and which countries do you ship products? Dihuni is a USA company headquartered and registered in the state of Virginia (VA). Our products are sold across USA and worldwide geographies with international customers in Europe, Asia etc. Most products ship overseas from the USA unless manufacturer has a facility located overseas and prefers to ship from that location. We do not ship to countries embargoed by the US government. Dihuni is not responsible for any customs duties, VAT, or any other import related taxes specific to the country where products are shipped. Such charges have to be paid by the recipient/importer directly to the shipping company/carrier/freight forwarder or customs officials. Dihuni will just charge customers international shipping charges. I work for the US government. Does Dihuni conduct business with the US government? Yes, we will work with our suppliers to offer high volume discounts wherever possible. Please contact us with your high volume requirements. If an item says, “Due to the complexity of integration, this product is sold as a completely assembled system only”, what does it mean from online ordering perspective? Some barebones products are listed with price but have a note that says the product is only sold as a complete system. The product price for such systems is provided only for informational purposes. You must not purchase these barebones products online. Instead you can select a pre-configured OptiReady system if listed or contact us with your specifications so we can price a completely assembled system for you. Do you charge sales tax? I am eligible for tax exemption. Besides Virginia, depending on the product/manufacturer, we charge sales in states where we have nexus. For e.g. for all Supermicro products, we charge sales tax in Virginia, California, Florida and Illinois. If you are eligible for tax exemption in those states, please attach your Government Tax Exempt Permit/Reseller’s Certificate etc during checkout or email us after placing the order online. We will refund you the tax portion for your order after we validate your tax exempt status. You can also email us your tax exemption document before placing an oder if you would like pre-approval for tax exemption. What is Dihuni’s unique value proposition and why we should buy from you? We are a technology company – not another online company that sells diapers and computers on the same site. Our focus is on bringing the broadest, most advanced and reliable technology products to you for your digital transformation applications. And as diapers are getting connected to the internet with the promise of IoT, we will certainly sell them as they turn into technology products! Close Partnerships – As authorized partners of top global companies, we work directly with their product teams to bring the best products to you and often have early access to new products. In several cases, we help vendor Product groups design new products and therefore have a strong 2-way relationship. Best pricing – our business model ensures cutting of logistics and overhead costs and thereby passing you the savings. We strive to keep our pricing among the lowest in the industry. Consultative, Simplification and Responsiveness – we provide detailed product information and help you with narrowing down and finalizing your product requirements, simplify your buying experience and are responsive right from initial communication to quoting to delivery and post-sales engagement. Customer & Quality Always First – we don’t just believe in it but also push our partners to maintain the same standards. We are customers for our suppliers and we understand the importance of on-time delivery and high product quality and are committed to delivering the same and top-notch customer service to you.